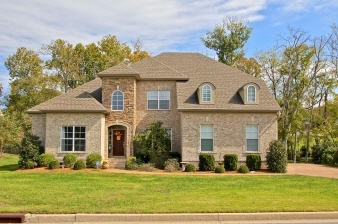 Interior Features Beautiful Brick & Stone, 4BR 3.5 BA 2 Fireplaces, Tuscan Charm, Gourmet Kitchen, Granite, Stainless, Kitchen has gathering room with fireplace,Formal Dining Room, Office, Lots of Storage,Hardwoods w inlays, Arched Doorways, Coffered Ceiling,Covered Deck,Backsup to Treeline, A Story Book Castle, in a Country Setting, Watch for two new Ponies on the Farm soon. This Enchanting Home Has all the Extras. Near HWY 386, I-65, 25 minutes to Nashville, Near Sreets of Indian Lake & Glenn Brook Malls, Beech School!